With a revised route and one of the closest championship battles in Canadian Rally Championship history moving into the final stretches of the season, the Lincoln Electric Rally of the Tall Pines is set to be a thriller. 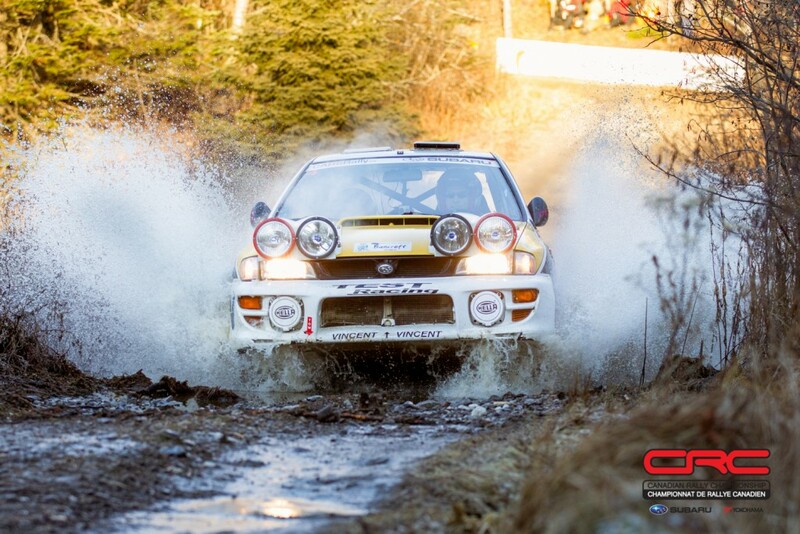 We sat down with five-time Canadian champion co-driver Alan Ockwell to discuss the sixth round of the series. Even at a reduced length, Tall Pines is longer than some two-day national events, but runs over just 13 hours in one difficult day. Sunset happens early, and variable weather conditions demand focus. Known for “winter roads, summer ditches,” drivers can face all manner of conditions from soft sandy sections to frozen gravel, or ice and snow, all of that without the safety net of large snowbanks to keep a car on the road. In 2011, Subaru Rally Team USA driver David Higgins could not do better than second place to Leo Urlichich. Ken Block has never finished a Rally of the Tall Pines despite multiple attempts. Two years ago, Travis Pastrana took the second step on the podium, entirely outclassed by Antoine L’Estage and Ockwell who won by a margin of nearly three and a half minutes. “The elevation changes and jumps at Tall Pines are unlike anything else,” said Ockwell, who feels the demanding character of these roads and the value of experience may give an upper hand to Simon Vincent and Hubert Gaudreau, currently second place in the title fight. Vincent has finished on the podium in three of the last four years, including winning as a co-driver in 2015. A fourth-place finish last year illustrates how consistent he and Gaudreau have been at Pines, where nighttime comes early, something Vincent says suits him well. Meanwhile, Test Racing teammates and championship leaders Karel Carré and Samuel Joyal have proven that they can be devastatingly quick even their first time to an event, winning the Pacific Forest Rally. This will be the team’s first Tall Pines, and will test all the work they’ve put in up to now. Yet at the limits, experience becomes more powerful. If the two teams are neck and neck on stage times, Vincent and Gaudreau will have the confidence of racing on roads they know well, with notes that have been honed over many years. This will be their best shot at retaking the championship lead. Chris Martin and Brian Johnson fall squarely in that category. Martin grew up ice racing and karting, learning how to be fast on any surface. He’s run Tall Pines for over a decade. Thanks to careful tire strategy that prioritized durability over flat out performance, he and Johnson won the 2013 event by nearly a minute while others struggled with flat tires. Jeremy Norris finished third in 2015 with co-driver Jeff Hagan. This year, Norris is joined by Irish co-driver Andrew Browne. If the two can quickly find a rhythm they could find themselves in the hunt for a top five or better. However, there’s yet more teams who will be out for an overall victory. Boris Djordjevic has been working through reliability issues with his car but will reunite with co-driver John Hall for this event. The two have a good history together and could find themselves in a battle for first if the car works well. 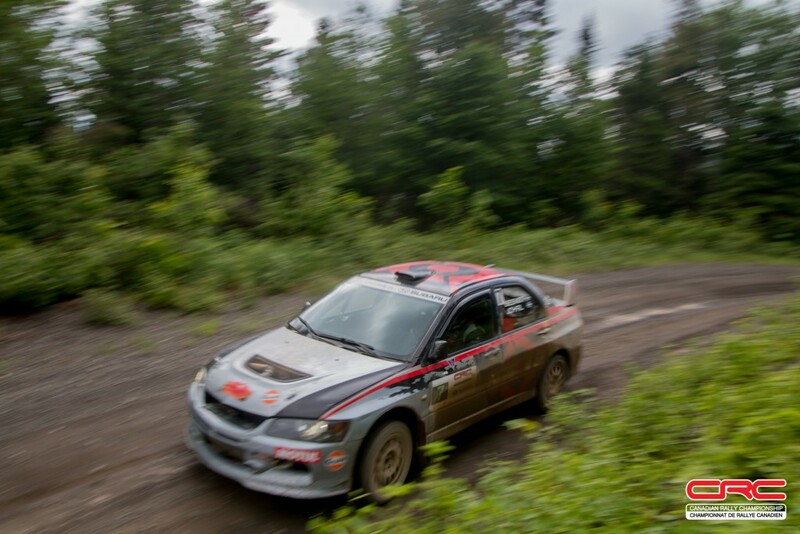 Jean Sebastien Besner and Yvan Joyal have made great strides over the past few seasons, earning a few podium results, and winning this year’s Rallye Baie des Chaleurs. Besner knows the roads around Bancroft very well. The overall two-wheel drive battle ended when Wim van der Poel and Bryan Lord secured the title at the Pacific Forest Rally, but that opens the door for local talent to show their stuff. Mathieu Leblanc and Eric Dubé have proven their speed at every eastern Canadian event this season, and could be the class favourites. But Ockwell also sees another name on the list that he’ll watch closely. Ockwell won’t be in a rally car at Pines this year, instead playing host as part of the Lincoln Electric Rally of the Tall Pines VIP program. Only a few spots remain, so get your ticket now. 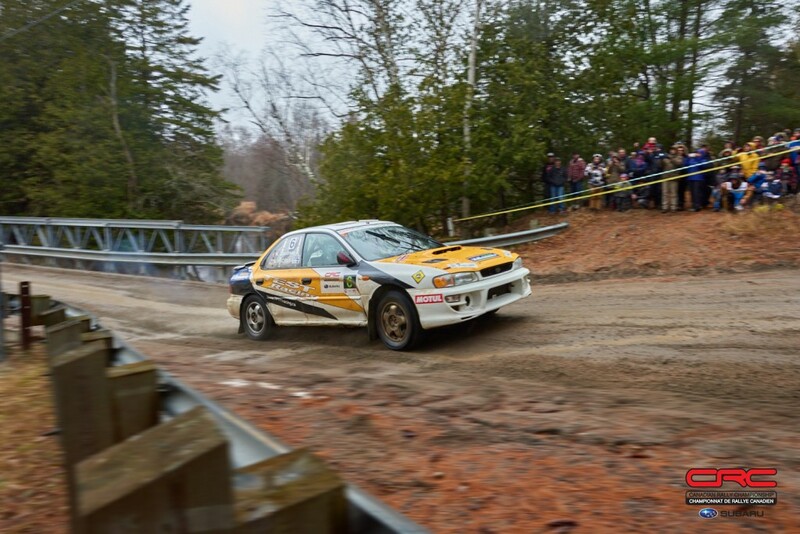 The event will be live streamed through the Canadian Rally Championship Facebook page, and will include a special partnership with the OPRC Rally Radio program complete with live tracking by EZTrak through the CDNRally app. Hosts Dean Campbell and James Drake will bring you action, interviews and insight through the entire event. Be sure to follow the the Canadian Rally Championship, your official source for news for the Lincoln Electric Rally of the Tall Pines. Find us Facebook, Instagram, and Twitter.